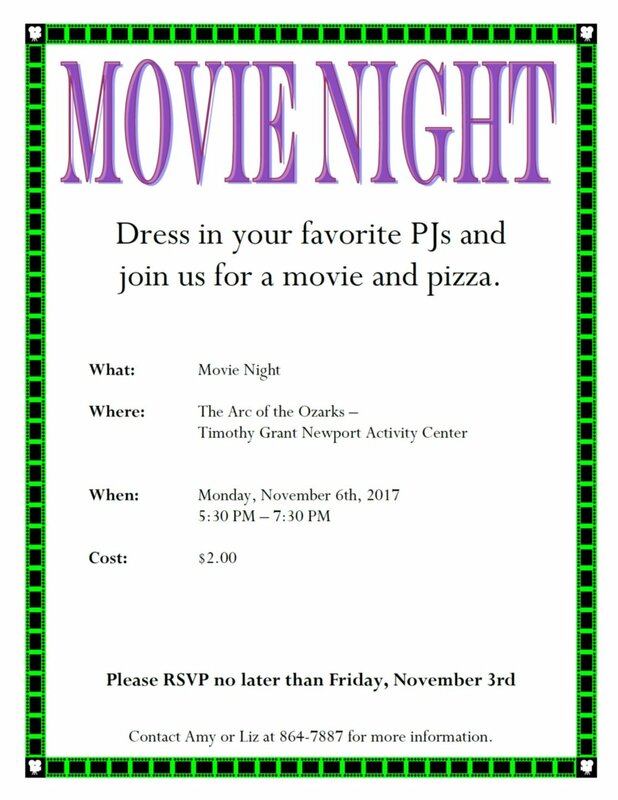 Dress in your favorite PJs and join us for a movie and pizza! The event will be Monday November 6th from 5:30pm to 7:30pm in The Arc Activity Center. The Cost is just $2.00. Please RSVP no later than Friday, November 3rd. RSVP by calling Amy or Liz at 864-7887 for more information.